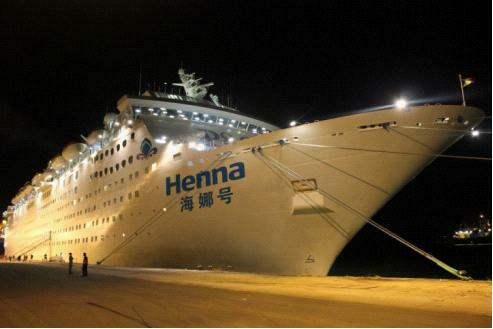 The HNA Group recently announced in Beijing that the mainland’s largest luxury cruise ship, the "Henna", will set off on its first voyage from Sanya on January 26th, 2013. With a total length of 223 meters and width of 31 meters, the cruise ship has 739 cabins and a capacity of 1,965 passengers, and includes a range of facilities for living and entertainment. The cruise route is focused on short distance tours, with Sanya and Tianjin serving as its home ports, and Vietnam and South Korea as destinations. According to plans the cruise will make it debut on the Sanya-Ha Long Bay-Da Nang route.